CAN YOU AFFORD NOT TO HAVE YOUR TEAM WORKING AT THEIR PEAK? Crazy like a fox, maybe. Here’s how it works: First this motivational speaker breaks up the larger group into smaller segments. Corporate divisions or departments get scattered so everyone’s with somebody new. Let’s break up those cliques! Er…silos! Brad takes your employees out of their comfort zones, gets them feeling a little off-balance right from the get go. 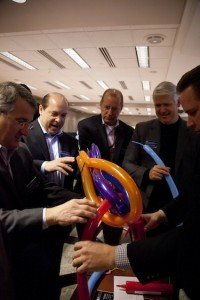 Then they go to it, building the biggest, coolest, craziest thing they can imagine; one that represents their company, their team, their personality.Who’s an expert at turning balloons into art (besides Brad, that is)? Turns out no one is. So everyone fromthe execs to the managers to the worker bees is on the same footing. Equality breeds creativity and innovation and teamwork. WE’LL DO MORE THAN BUILD YOUR TEAM. THIS IS A LESSON ON TEAM-BUILDING. Brad’s Program will bring your folks together. Fostering communication, innovation, creativity, productivity, building relationships, developing team-work. 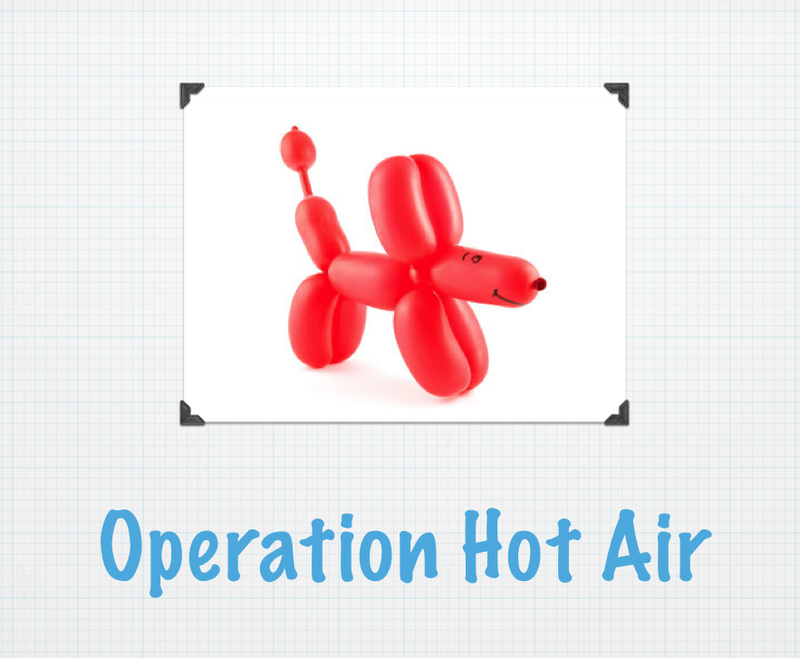 And Brad’s most popular team-building program is Operation Hot-Air. 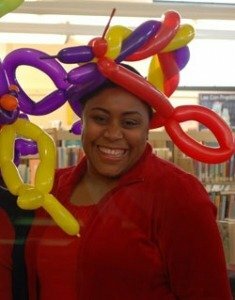 This unique, multidimensional experiential, hands-on event is designed not only to bring your team closer together in pursuit of a common goal (namely a crazy task with animal balloons), but to extend the feeling of camaraderie and unity that arises during the activity out into their wider, working world. What? you say. 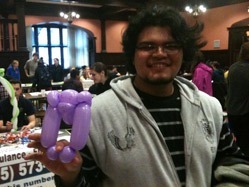 How can making a balloon sculpture help my people? You’re crazy! But we don’t stop there. The next step is crucial. Brad leads a facilitated discussion with the group to analyze, to share, to deconstruct (not the balloons!) the process!. Your people talk. And by talking, they learn. What worked? What didn’t work? Why did this event create a team? 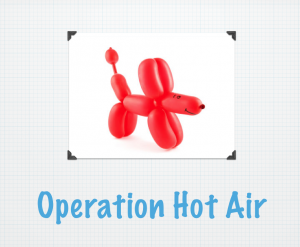 How do we duplicate it back in the office (without the balloons, unless you want to…heck, why not?) Your people end up learning take-away action steps that they can apply to their own teams, their own departments, their own work processes. It’s innovative and it’s fun, and it WORKS! TEAM BUILDING EXPERIENCE — BRAD STYLE. WHAT IS IT? Brad’s used this activity with computer engineers (Microsoft), with rocket scientists (Lockheed Martin), with doctors and nurses (Paoli Hospital, Trinity Mother Francis Hospital, Oncology Nurses Assoc. ), and they all had a blast. (Get it? Rocket scientists had a blast? Hahahaha). But more than that, they laughed together, they grew closer, they communicated. They became more productive. They made their organizations stronger and more profitable. Brad has developed a killer team building activity that is fun, effectively builds camaraderie, feeds creativity, and will have your people laughing WHILE they grow closer . And they’ll learn. 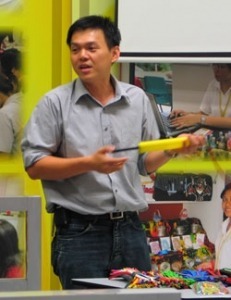 Looking for a team building exercise and speaker for your event? Think this would be a great add-on to using Brad as a motivational speaker? Contact me here. https://www.bradmontgomery.com/wp-content/uploads/2018/11/logo-1-495x198-1-300x120.png 0 0 admin https://www.bradmontgomery.com/wp-content/uploads/2018/11/logo-1-495x198-1-300x120.png admin2010-06-01 13:53:452018-08-08 16:28:13Team Building Brad Style — Blowing Things Up!